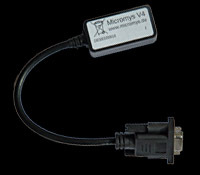 Micromys by individual Computers is a mouse adapter to connect PS/2 mice from PC to the C64 and other systems. 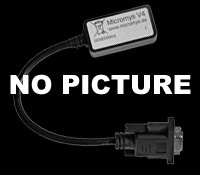 The new version of Micromys comes (almost) without Dip switches for its configuration, the adapter figures out most computer environments automatically (you may need to press a mouse button in certain cases, though). Any PS/2 mouse can be used. USB mice supporting the PS/2 protocol can be used, too. Such USB mice typically come with an appropriate USB-PS/2 adapter. Just plug in and switch on. Micromys will auto-detect that it's connected to an Atari and switch to that mode. Pressing the right mouse button once after power-up may be required, depending on the machine. After that has been done, the detected Atari-mode will survive all resets; Micromys will stay in Atari-mode until the next power-cycle. ASB by Jan Boettcher stands for long, turn-based space strategy contest for 1 to 4 players. Who builds the biggest interplanetary empire and prevails over the other players and the aggressive mutants? The Camp by Mac of TUGCS. The Camp is a text adventure satire in "Found Footage/Grindhouse" style for the Commodore C64. 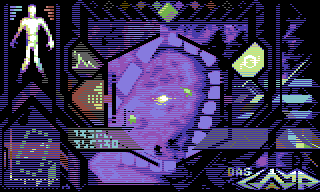 D42 Adventure System by Out of Order is a construction set which allows any C64 enthusiast to develop sophisticated graphic adventures, without requiring any programming skills. Crazy News by Stefan Kluge is only available in German language. 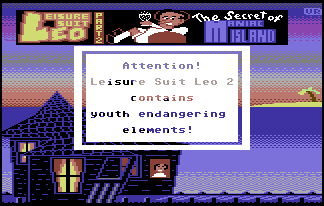 Leisure Suit Leo 2 from Out of Order Softworks is the "Deluxe Edition" of the parodistic graphic adventure "Leisure Suit Leo 2 – The Secret of Maniac Island". A true adventure game with multicolor graphics, an awesome soundtrack and many gags. Please note that the downloads are only legal when you own the respective original. We can not provide you with links to some of these games, as the copyright is still hold by the programmer/company. Arkanoid II - Revenge of Doh by Imagine. Lords of Doom by Starbyte Software. SpaceChem Nano by P1X3L.net. The player assembles molecules in a reactor. It is based on the PC/Mac/Linux/iOS/Android game SpaceChem. Space Lords (Centaurus) by P1X3L.net is somewhat similar to Breakout for 4 players, and is based on the 1980 arcade classic Warlords. The House by Thomas Giesel is a is a nice graphics adventure (only available in German language) with a cool soundtrack by Fanta. 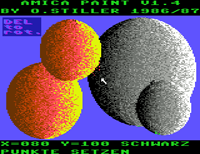 Amica Paint by Oliver Stiller is a C64 paint program. 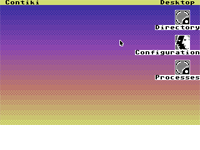 Contiki by Adam Dunkels is an operating system that offers many features in very small space: A TCP/IP stack, a web browser, a web server, a VNC-client and of course a graphical user interface. To make use of all features of Contiki, an intranet with router should be available. FunkPaint by the Singular crew is an extensive multi-format picture editor for HiRes/multicolor/DTV pictures. 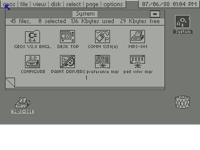 GEOS 64 2.0 is an operating system with a graphical user interface. The download is free if you don't redistribute or sell GEOS. 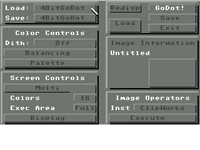 GoDot by Arndt Dettke is an C64 Image Processing System. It is continuously being improved. MSSIAH by 8bit ventures is a MIDI cartridge for the Commodore 64. MSSIAH is short for MIDI SID Software Integrated Applications and Hardware and means that the cartridge contains both software and hardware to midify the C64. 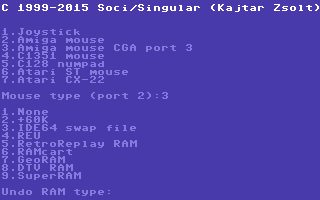 Pagefox by Scanntronik is a DTP program. It has been released on cartridge only. 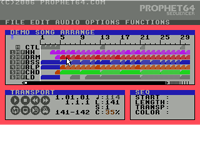 Prophet64 by 8bit ventures is a hardware cartridge for the Commodore 64 with four music applications. The Prophet64 has been discontinued and is now replaced with the fully MIDI compatible MSSIAH Cartridge.